IBM® Spectrum Cluster Foundation Community Edition is a no-charge infrastructure lifecycle management solution providing systems deployment, and advanced software management capabilities. Featuring a fully GUI driven interface for management, monitoring, alerting & reporting, it helps to reduce infrastructure and management costs. Improved administrator productivity with faster time to cluster deployment and readiness. Achieve reliable yet flexible monitoring capability to meet changing IT requirements. Provides simplified management effort for IT managers. 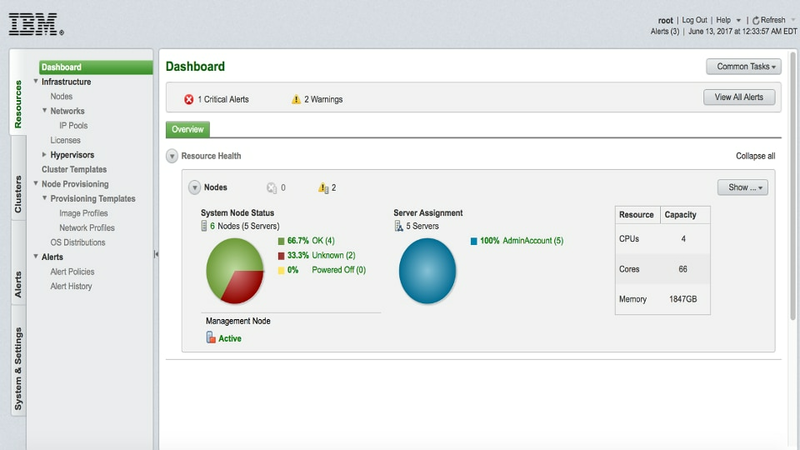 Administrators can access and manage the cluster from anywhere. Scale up to 2,500 nodes. Easily search for and identify issues in the infrastructure. Obtain highly available management and monitoring.